Over the past century, hundreds of billions of dollars have been invested in programs aimed at improving health on a global scale. Given the enormous scale and complexity of these lifesaving operations, why do millions of people in low-income countries continue to live without access to basic health services, sanitation, or clean water? And why are deadly diseases like Ebola able to spread so quickly among populations?In A History of Global Health, Randall M. Packard argues that global-health initiatives have saved millions of lives but have had limited impact on the overall health of people living in underdeveloped areas, where health-care workers are poorly paid, infrastructure and basic supplies such as disposable gloves, syringes, and bandages are lacking, and little effort has been made to address the underlying social and economic determinants of ill health. 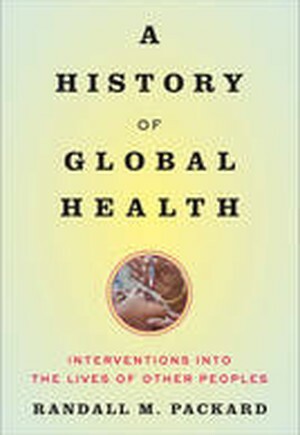 Global-health campaigns have relied on the application of biomedical technologies-vaccines, insecticide-treated nets, vitamin A capsules-to attack specific health problems but have failed to invest in building lasting infrastructure for managing the ongoing health problems of local populations.Designed to be read and taught, the book offers a critical historical view, providing historians, policy makers, researchers, program managers, and students with an essential new perspective on the formation and implementation of global-health policies and practices.